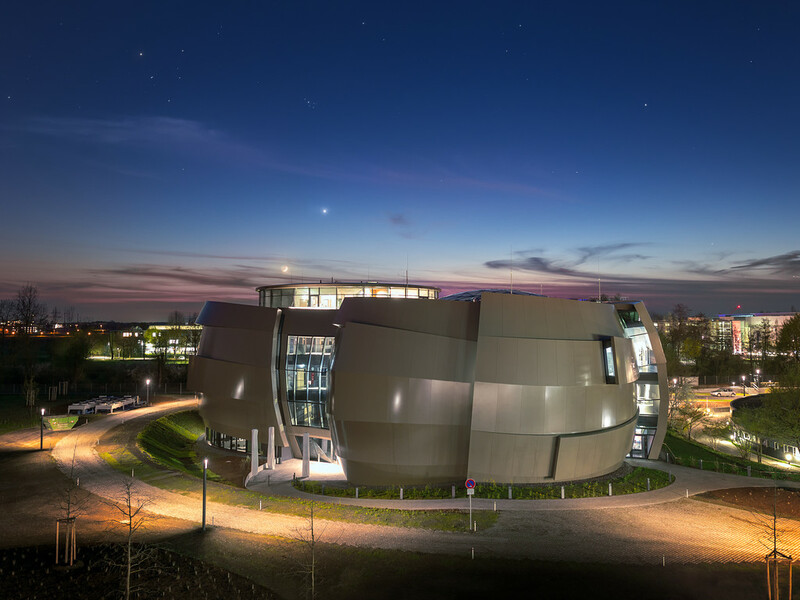 On 26 April 2018, the ESO Supernova Planetarium & Visitor Centre was officially inaugurated, and its doors are open to the public from 28 April 2018. 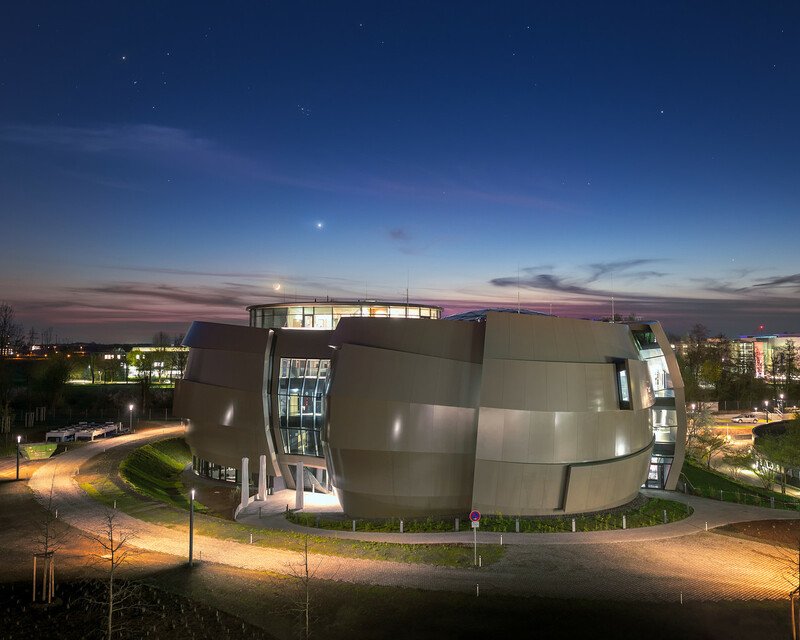 The centre, located at ESO Headquarters in Garching, Germany, is a magnificent showcase of astronomy. 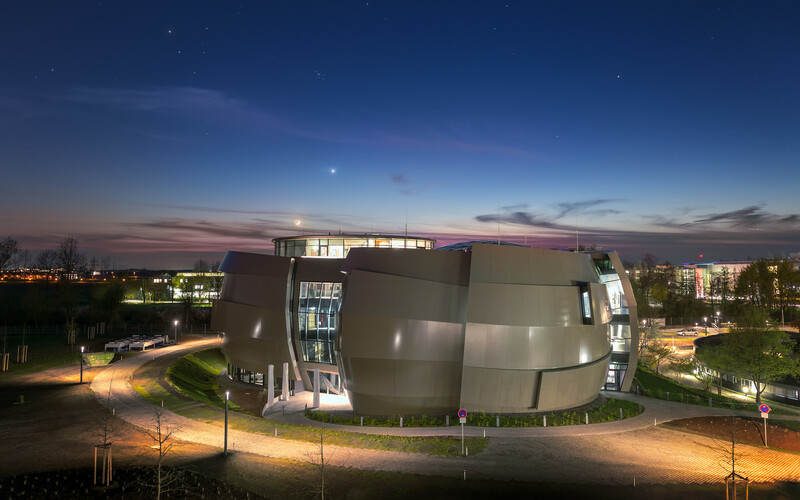 It provides visitors with an immersive experience of astronomy in general, along with ESO-specific scientific results, projects, and technological breakthroughs. 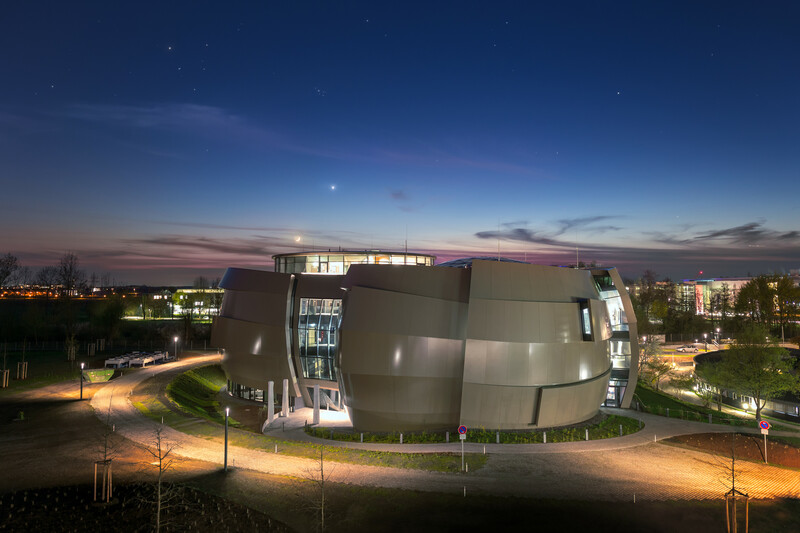 This spectacular evening picture, taken a few days before the opening, shows a conjunction of the planet Venus and the young crescent Moon in the background.